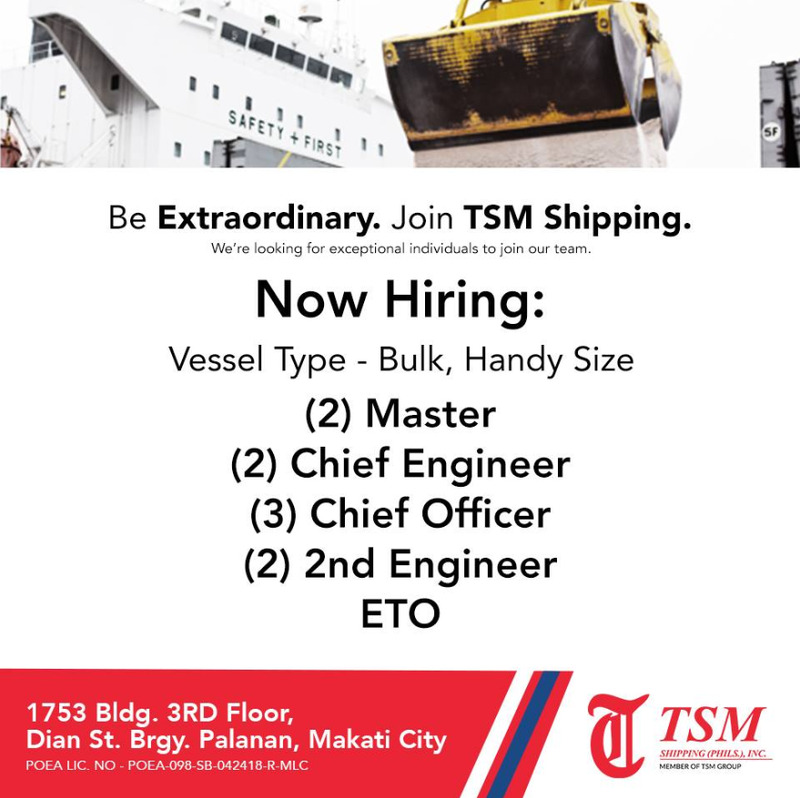 SEAMAN JOBS INFO - TSM SHIPPING PHILS., INC. 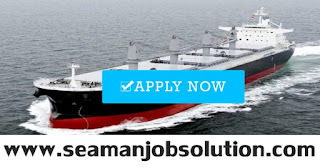 Opening hiring crew for Bulk Carrier joining onboard A.S.A.P. 1753 TSM Building, (3rd Flr. TSM OFFICE) - Dian Street, Barangay Palanan, Makati City. Rogelio P. Bautista | Recruitment Officer | Recruitment Dept. 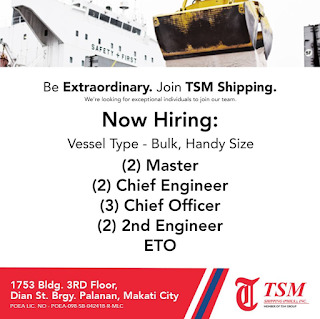 0 Response to "Need Master, C/E, C/O, 2/E, Electrician For Bulk Carrier"